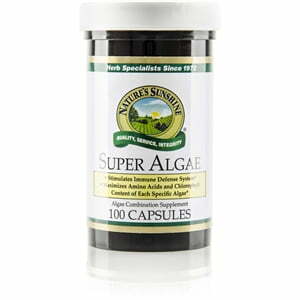 Nature’s Sunshine Super Algea combines spirulina, chlorella, and Klamath Lake blue-green algea. These three algea are super foods in and of themselves, and when their powers are combined, the offer exceptional nutritional value. 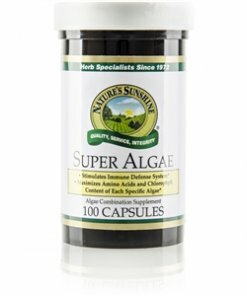 They come together in Super Algea to supply proper nutritional balance, providing all nine of the amino acids that the human body can’t produce. They are a rich source of minerals, B vitamins, beta carotene, chlorophyll, and natural protein.